AFT1493 | Mar.-Apr. 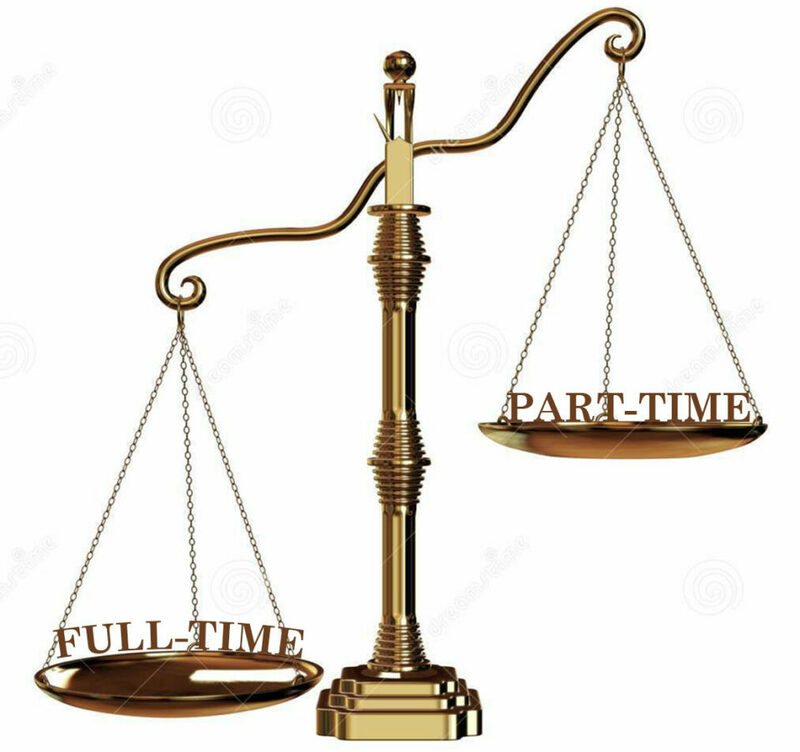 2019 Advocate: What is part-time parity? Parity refers to equity in pay. For part-time faculty members, that means getting paid comparable to similarly educated, similarly experienced full-time faculty for the same labor. When you compare part-timers to full-timers in our District, the average part-timer with a Master’s degree earns anywhere from $0.62- $0.66 for every $1.00 that a full-time faculty member earns. Indeed, full-time faculty members have greater responsibilities and higher expectations to participate in non-instructional work (e.g., committee work, program coordination, etc.). One could reasonably expect that a part-time faculty member would not earn 1:1 on an hourly basis that a full-timer would. However, the difference between the two salary scales is dramatic. Some important differences between the formulas for the adjunct faculty and the regular full-time faculty salary schedules make the precise disparity hard to pinpoint. For starters, the part-time schedule is listed as an hourly wage while the regular full-time faculty schedule is listed as an annual salary. So any comparison has to either annualize the adjunct wage to a salary or disaggregate the full-time salary to an hourly wage over 10 months. Secondly, adjuncts do not advance by column. So, an adjunct with an Associate’s or Bachelor’s degree is paid equivalent to an adjunct with a PhD. Finally, adjuncts “step out” at 11 steps, whereas regular faculty advance up to 25 steps. So, a part-timer with over 12 years of experience hits a pay ceiling in a case that a full-timer continues to advance up the schedule. This actually means that the more education and experience an adjunct has, the more severe the pay disparity. Imagine a typical faculty member. They have a Master’s degree and about 7 years of teaching experience in the District. If this faculty member were full-time, they would earn $81,720 per year. If they had 60 units of credit on top of their Master’s, they would earn $86,016. In contrast, if the faculty member were adjunct, their annual salary would come out to $53,693.50 if their hourly wage were annualized for 30 units (equivalent of 10 3-unit courses, including office hours). This faculty member makes 34% less for teaching with the same education and the same amount of experience. If this adjunct had the additional units beyond their Master’s, the disparity would be 38%. Now, let’s imagine a seasoned faculty member with over 20 years of teaching experience and a PhD. In this scenario the pay discrepancy between Step 25 on the full-time PhD salary schedule and the highest step on the adjunct scale is 45%. So the more education and more experience an adjunct has, the greater the distance between their compensation and that of a similarly trained, experienced full-timer. As previously stated, 1:1 pay equality is not the gold standard for part-time pay parity. It is understood and expected that full-time faculty pull much more weight than teaching their classes alone. The question, then, is how much of a difference is standard or acceptable. To provide some comparison, our neighboring district to the south, Foothill/DeAnza has about a 16% difference between full-time and similarly trained part-time faculty. City College of San Francisco part-timers earn only 12% less than their full-time counterparts. Our part-timers’ pay is lower than a number of other Bay 10 community college districts. An adjunct at Step 7 would make $14,240 more on an annual time basis at CCSF and $11,800 more at Foothill/De Anza than one in our District. It is up to us as a collective faculty body to figure out what is an acceptable amount of disparity between our very hard-working full-timers and our very hard-working adjuncts and make that case to the District negotiators and trustees.